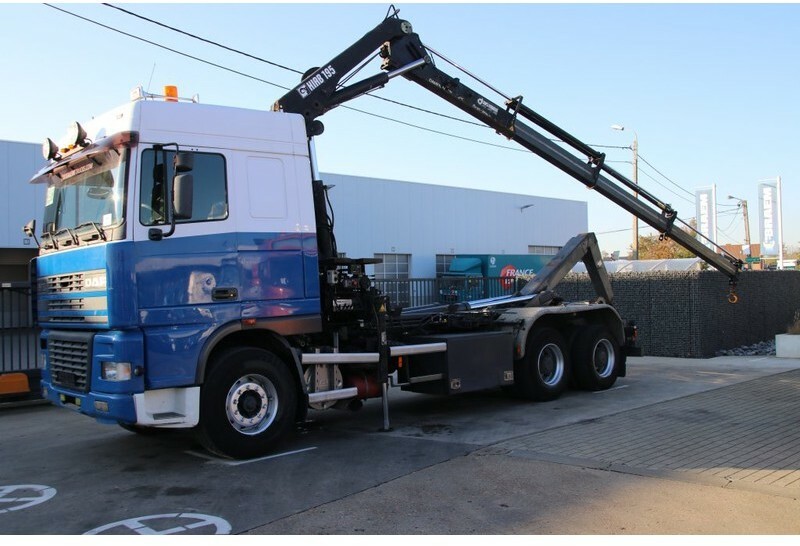 All the offers in the stock of DAF XF 95 hook lift truck are up-to-date as well as in good shape. Engine/driveline: Euro 2, displacement: 12580 cc, engine cylinders: 6, 483 hp, gearbox: manual, transmission: Schaltgetriebe, 16-Gang, power take-off. Wheel formula and suspension type: suspension: spring, front axle suspension, 6x4, wheel base: 4850 mm, front tires: 385/65R22.5, rear tires: 295/80R22.5, dual wheels, trailer coupling. The payload is 12500 kg.